Attorney Eric Suarez concentrates his practice in immigration law as well as injury law. 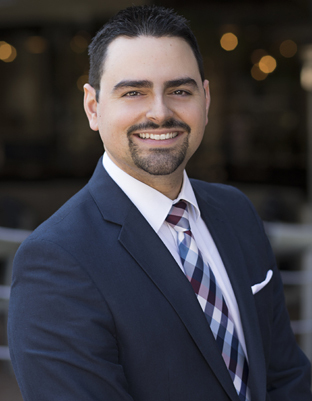 As an immigration attorney, he focuses his practice on removal defense, including asylum, withholding of removal, and the intersection of immigration and criminal law. Eric is a is a member of the state bar of Maryland and a graduate of Johns Hopkins University. He earned Juris Doctor degree from the University of Maryland Francis King Carey School of Law, where he represented clients as a student attorney at the National Association for the Deaf. He also served as the President of the Latina/o Law Student Association and helped assure that unaccompanied minors had access to pro-bono representation before the Baltimore Immigration Court. If you have a legal matter that you would like to discuss with Attorney Eric Suarez or another lawyer of the firm, contact Sanabria & Associates 24/7 via phone in Maryland at (301) 585-8400, or in D.C. at (202) 506-4404 or via email for a free consultation or to schedule an office visit.